The Pinelands National Reserve is truly a special place. Located in southern New Jersey, one of the most urbanized states in the nation, the Pinelands are the largest tract of open space on the mid-Atlantic coast. It has vast unbroken forests of pine, oak and cedar. Slow moving streams fed by a huge underground aquifer system supply the marshes and bays of southern New Jersey with some of the cleanest water in the world. This ecosystem encompasses over one million acres of farms, forests and wetlands, parts of seven counties and 56 communities, from hamlets to suburbs. Today the region has over 700,000 permanent residents In 1983, the Pinelands was designated a Biosphere Reserve by the U.S. Man and the Biosphere Program and the United Nations Educational, Scientific and Cultural Organization (UNESCO). 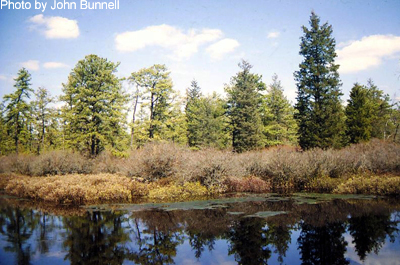 This designation recognized the Pinelands as an example of the world’s major ecosystems. The conservation of this ecosystem located directly in the path of development along the Boston to Washington corridor was once very much in question. In 1967 national best-selling author John McPhee wrote the “The Pine Barrens,” as an elegy to the cultural and natural values of a place that seemed soon to be swept away. A proposal for a massive airport and the reality of nearby casino gambling were a threat. However, in the 1970s that state of New Jersey stepped up – setting boundaries and taking steps to conserve these regional resources. In 1978 the areas was established by Congress as the country’s first National Reserve to be managed as a living landscape. In 1979 the state of New Jersey created the Pinelands Commission with the responsibility to develop and implement the Pinelands Comprehensive Management Plan (CMP). The Pinelands Commission, appointed by the state’s governor with a designee from the National Park Service, administers the CMP. This plan is a complex mix of land use policies, environmental performance standards, permitting oversight and state consistency. Over 60% of the region is a highly regulated Preservation Area designed to protect the natural characteristics of the landscape, which include the globally important pygmy pine forests, shrub oaks and other rare and endangered species. 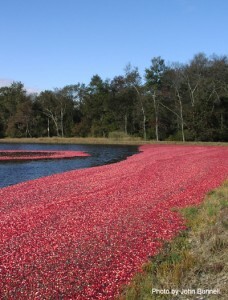 This designation does allow such traditional resource based uses such as growing blueberry and cranberries that are native to the region, as well as forestry and low-intensity recreation. 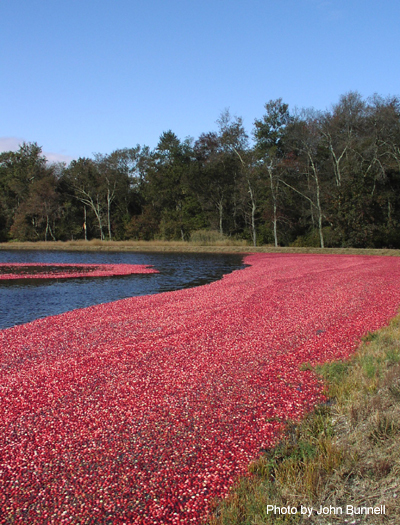 New Jersey is among the top states in the nation in the production of blueberries and cranberries, and virtually all of these are grown in the Pinelands. It also allows hunting, fishing and trapping. The Pineland Commission has had a strong and successful record of administering these planning controls and has continued to research best practices to best conserve its ecological resources. Through a combination of public and private efforts, 53% of the region is permanently protected by easements or public ownership.